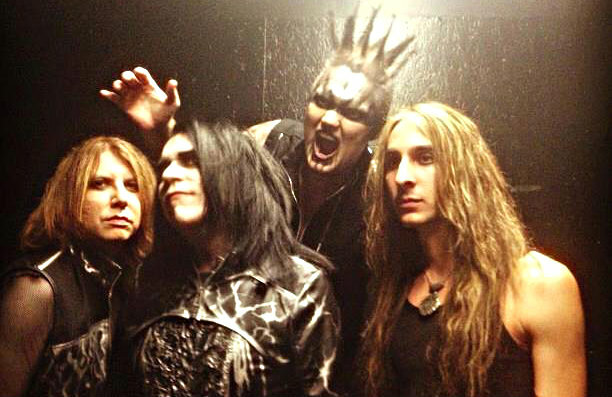 Brazil's Wikimetal podcast recently conducted an interview with LIZZY BORDEN frontman and namesake. You can now listen to the chat using the SoundCloud widget below. LIZZY BORDEN celebrated its 30th anniversary by embarking on the "30 Years Of American Metal" tour. The trek included "a brand new show, created from the ground up just for this monumental occasion. The new show encompassed songs from each and every LIZZY BORDEN record to date, including classic songs like "Me Against The World", "American Metal", "Master Of Disguise", plus songs the band has never performed live." LIZZY BORDEN has spent the past few years working on material for the follow-up to 2007's "Appointment With Death"